Very in vogue now wall cladding in rustic, shabby chic, distressed timber is a must for that feature wall or shop, bar, cafe interior. Many of our reclaimed boards and floors can be and are used for characterful cladding of walls and ceilings in restaurants, pubs, shops and feature walls in domestic situations. 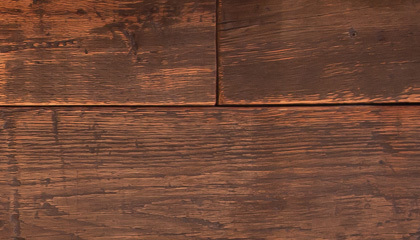 The Antique Oak Flooring Company offer a range of rustic and characteristic wall cladding for commercial and domestic interiors and exteriors. From rich Antique Bordeaux Oak to silver naturally weathered pines, and rustic sawn faced old Oak. Tell us what you are looking for and we will provide samples of what we can offer. London’s restaurants and boutiques are queuing up to use our products, and they can be viewed in situ from Westfield shopping centres to Soho restaurants. Send us a picture of what you are looking for and we will price some options for you. Horizontal or vertical boarding, sports striped gymnasium strips, Drifwood Spar Pine, Mississippi oak, matchboarding, flaked paint and much more.